For the first class, bring an 18"x24" Strathmore 400 or 300 drawing pad, masonite drawing board to fit the pad, graphite drawing pencils (HB, B, 2B), eraser, and charcoal pencils (soft, medium). Take this journey of drawing and learn "how to see" -- you'll be amazed at your growth and confidence! Build your drawing skills and knowledge, because drawing is the essential armature of all art-making. 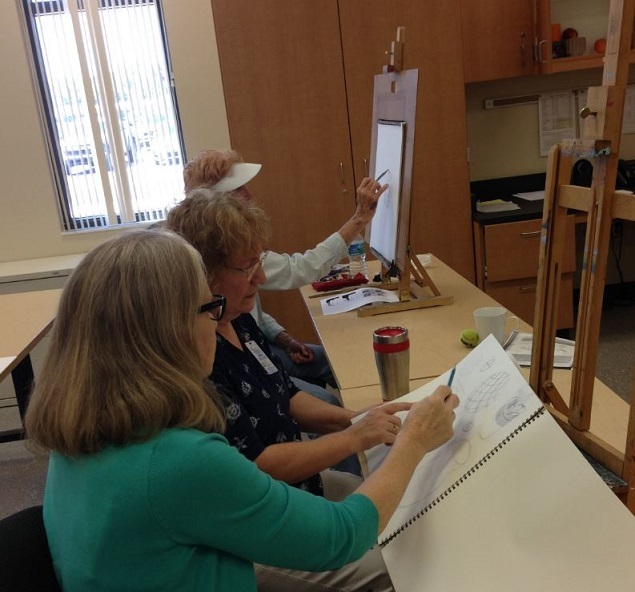 This class will introduce beginners to the following elements of drawing: line & shape, light & dark values, composition, perspective, and ways to manipulate materials for various effects. 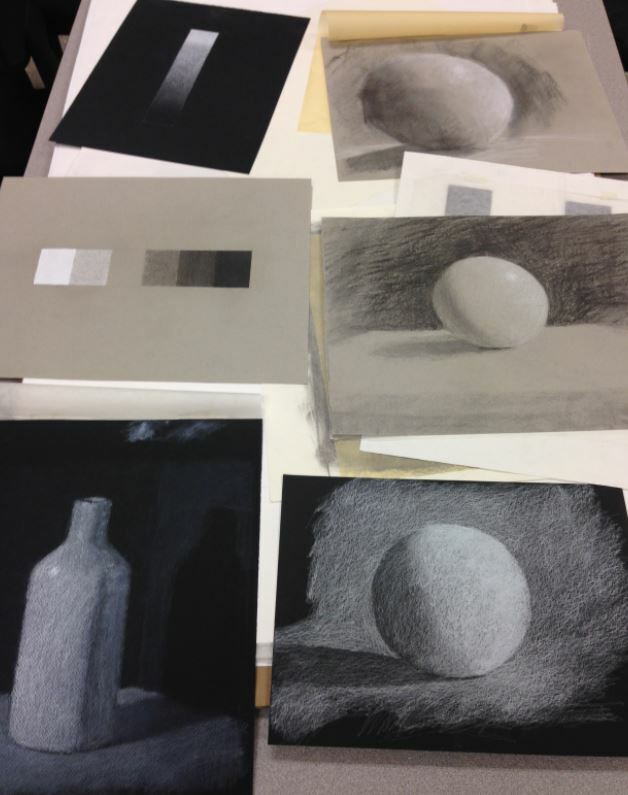 Working from still life objects, students will learn to create volume & light, atmosphere, and space & depth in a composition. Enter into the pleasurable world of seeing and drawing! Click on class title for complete supply list. For the first class bring an 18"X24" Strathmore 400 or 300 drawing pad, masonite drawing board to fit the pad, graphite drawing pencils (HB, B, 2B), eraser, and charcoal pencils (soft, medium).